I'm off on another museum project --- this time for my second trip to Tunisia! I'll be reporting on my Tunisian travels in a future ExhibiTricks blog post, but for now I hope you'll enjoy this "encore" post about my first trip to Tunisia. You can also check out my Twitter, Facebook, and Instagram feeds for live updates! My work brings me to many unexpected places around the world, but I just returned from what may be my most interesting trip so far --- working with folks from Libya, but in Tunisia! 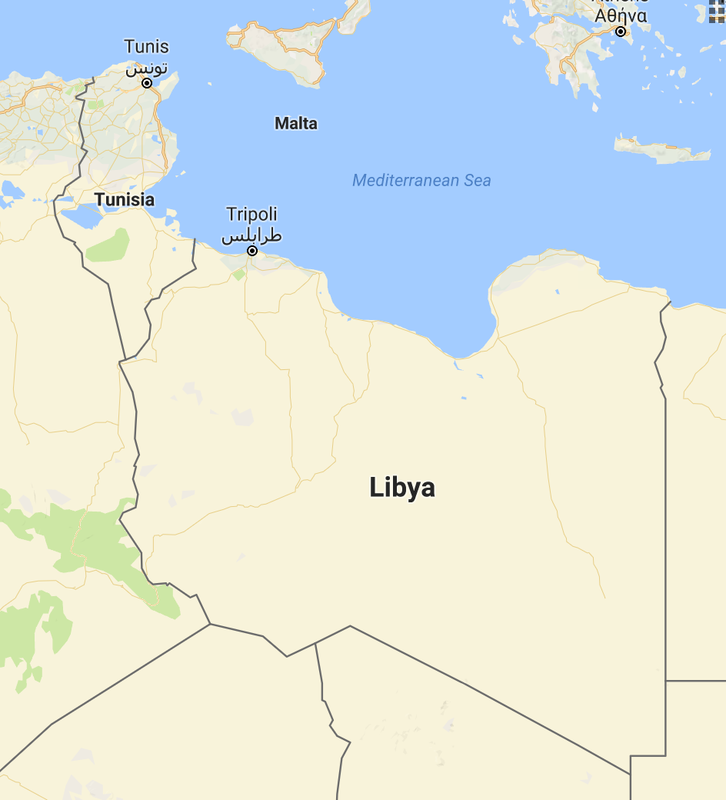 So how did I end up in Tunisia? Earlier this year, I was contacted by Professor Susan Kane of Oberlin College. 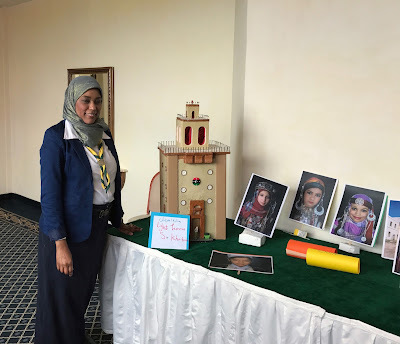 Susan told me about her project through the Bureau of Near Eastern Affairs, U.S. Department of State to work with Libyan educators, scout leaders, and museum folks. 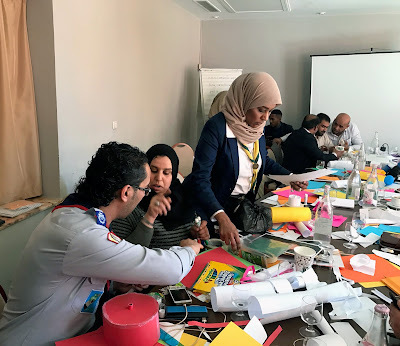 Secondly, why ask ME to give this workshop that, at least partially, concerned itself with cultural heritage and Libyan national reconciliation? Several kind museum colleagues pointed Susan in my direction, and together we crafted a plan to share my ideas about open-ended activities for children, quick and cheap exhibit prototyping, and developing pop-up or temporary museums in schools and community centers with the workshop participants. 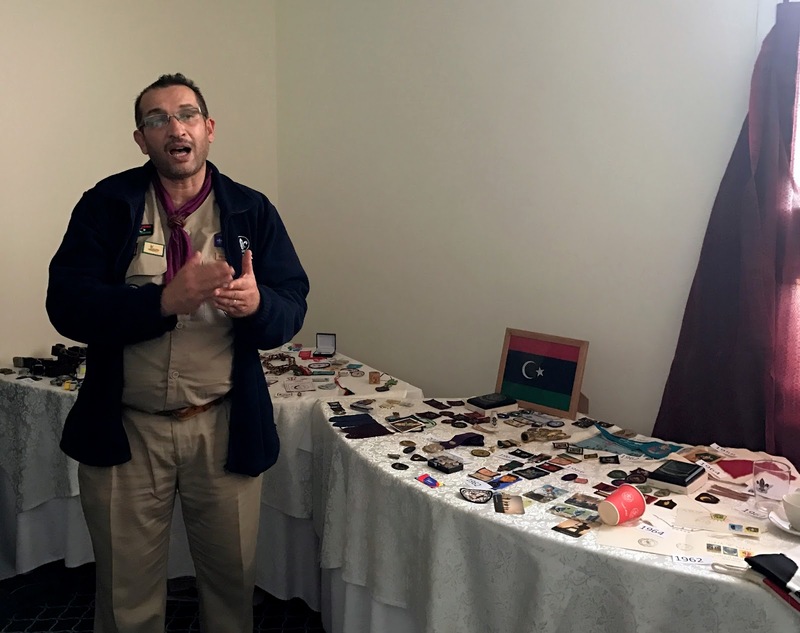 After the initial excitement of traveling to Tunisia wore off, I honestly began to worry --- would my information and activities with simple materials actually be useful to Libyans concerned with reconciliation and cultural heritage? 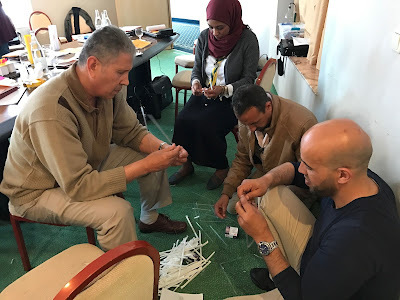 I continued to think about this from the time I started planning activities and gathering materials in the U.S. all the way until I arrived at the hotel on the outskirts of Tunis where the workshops would be held. 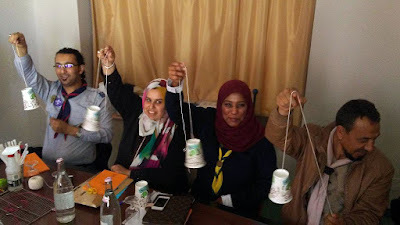 Fortunately, the Libyan men and women in my workshop were very enthusiastic and welcoming. It was clear (once we got into the groove with our helpful translators!) that everyone at the workshop was hungry for activities to share with the students, scouts, and children they worked with. I deliberately chose topics and activities that I thought could be used in a wide range of situations. Our last workshop day together dealt with the development of Pop-Up (or temporary) Museums. These sorts of temporary displays or exhibitions are great ways to engage with communities and lend themselves to being set up inside non-museum spaces like schools or community centers (or even under tents outside.) So we ended our workshop by creating a Pop-Up Museum! Several workshop participants brought objects from home to share for the Pop-Up Museum, while others put displays together from materials available on-site. 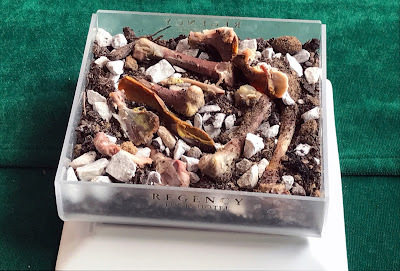 One of my favorite examples of "instant exhibitry" was from Intisar, the director of the Children's Museum in Tripoli, who created a display about the different types of historical tombs found in Libya (clay for lower class, glass for upper class) using leftover chicken bones from lunch and an ashtray from her hotel room! As with every class or workshop I lead, I learned a lot from the participants and our work together. 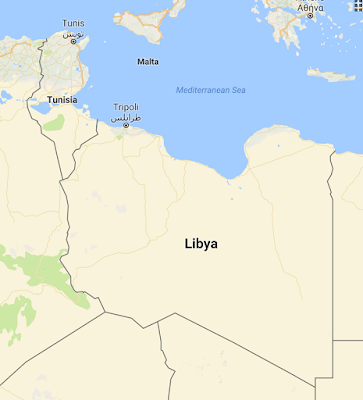 Perhaps foremost in Tunisia, I learned that the Libyans I met (like all people around the world) want a better life for their children, and a safe and secure place to live. 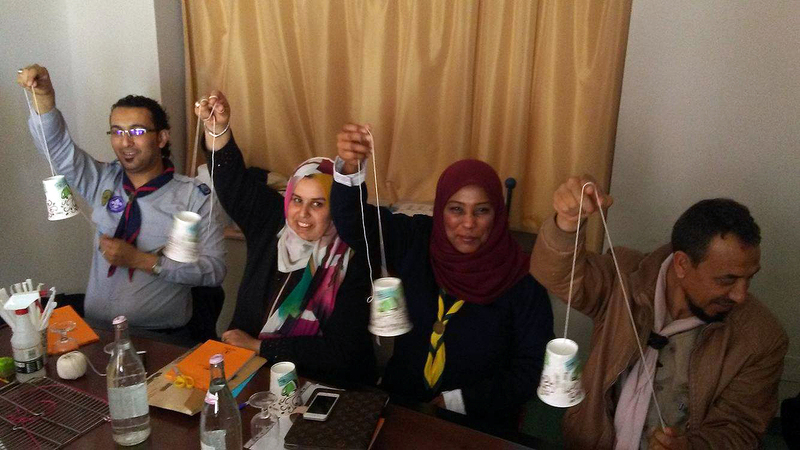 So can Laughing Cups help Libya? In the hands of the thoughtful and dedicated people I met in Tunisia, I'm sure, in a small way, they can.